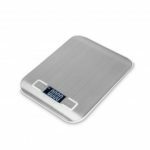 Designed with a smooth stainless steel platform for easy cleaning and maintenance, the scale perfectly accents any kitchen setting. 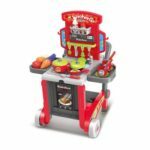 It provides highly-accurate measurements of food weights and maintains the durability to withstand up to 5kg of weight. 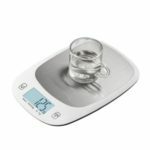 Whether you&apos;re a beginner or a seasoned chef, this digital scale has the simplicity and practicality to create the perfect kitchen creations. 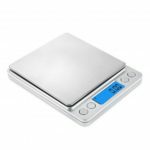 Equipped with 4pcs high precision sensors to give you accurate weight all the time; 5kg/11lb capacity, 0.01oz/1g division, perfect for baking, cooking and weighing jewelry. 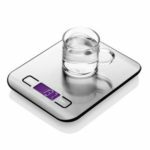 Calculate the net weight of your ingredients, automatically subtracts the weight of any bowl or container. Compact size takes up minimal space on your table, makes it easy for carrying.